ArtSpot is a juried outdoor temporary public art installation. ArtSpot aims to display the highest caliber of sculpture that represents variety in artistic styles and mediums. Sculpture selected for each installation are done so on artistic merit, diversity and if applicable, representation of the advertised theme for the display. The Call for Entries invitation is open to artists working independently or in a collaborative group. Existing monumental sculptures pieces are preferred. 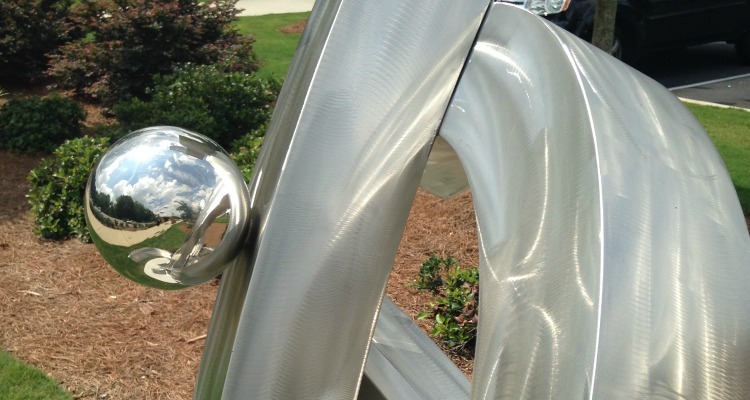 Sculptures will be place in public right of ways and parks. After juried review of the submitted materials, selected items will be presented to the City of Johns Creek Public Arts Board with final approval by the Johns Creek City Council. For each piece selected by the jurors and displayed in the city, the artist will receive a $1,500 award.If the sculpture is sold, it must remain on display until the end of the exhibition. The artist will donate 10 percent of the sale price to Johns Creek Beautification ArtSpot. Artist must fully complete the on-line application. Artists can submit up to four pieces of art in one application. A $25 fee per application can be paid through our PayPal account. There is no limit to the number of applications an artist can submit. Business logos or art that incorporates a logo for the primary purpose of advertising a business. Directional elements such as super-graphics, signage or color coding except where these elements are integral parts of the original works of art. Mass-produced art objects, such as fountains, statuary objects, or playground equipment. Reproduction by mechanical or other means of original works of art. Art exhibitions and educational activities. Security and publicity concerning works of art. Low maintenance for the duration of the exhibition.